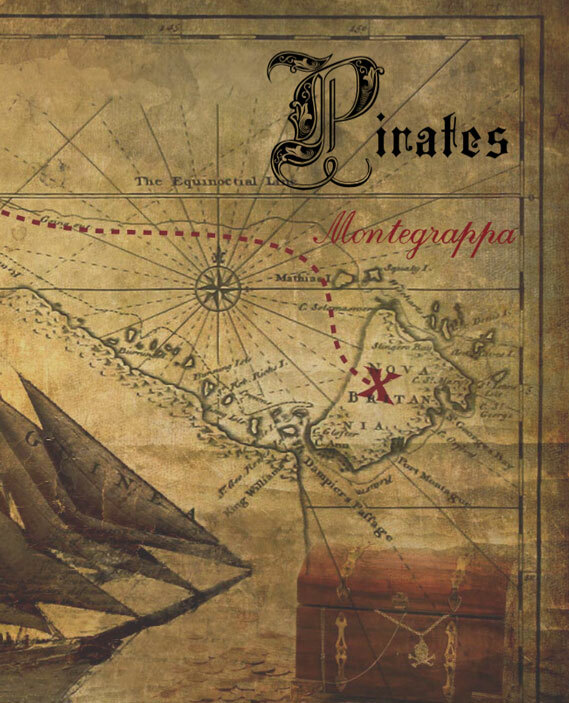 From Treasure Island to the Pirates of the Caribbean, the legend of the fearsome sea marauders goes on with Pirates by Montegrappa. If incredible adventures, sea stories, skulls and coffers filled with golden doubloons intrigue you, this pen will be your personal treasure. If you don’t want to miss it, sail straight away to Giardino Italiano’s website! “The Pirates’ code: first freedom and the Captain. Pirates, the bandits of the sea, are famous to date for the fictional characters that made their incredible adventures famous. From Captain Hook to Jack Sparrow, it’s easy to fall in love with the stories of these self-centred and unconventional heroes seeking freedom and pleasures of life. However, these fantasy stories draw from reality: William Kidd, Black Beard and Francis Drake are names of real pirates, and the list is just at the beginning. The pirates sailed every sea and continent, from China to the Persian Gulf, through India to the Caribbean. The first records on piracy date back to 14th century B.C.E., when the People of the Sea, a group of sea bandits, attacked the ships passing through the Aegean Sea. The People of the Sea took advantage of the narrow passages in the Mediterranean Sea and of the predictable routes of regular commercial vessels to attack them and take possession of their cargo. For the same reasons, the Strait of Gibraltar became one of the favourites places of pirates, and so were the Strait of Malacca in Madagascar, the Gulf of Aden and the English Channel. From the Red Sea to Singapore, the bravest and most unconventional Captains gathered priceless treasures by striking terror. They contributed to build the picture of the unconventional hero as we know it today. One of the most fascinating facts about piracy is the pirate’s rebellion against social rules, in any time and place. 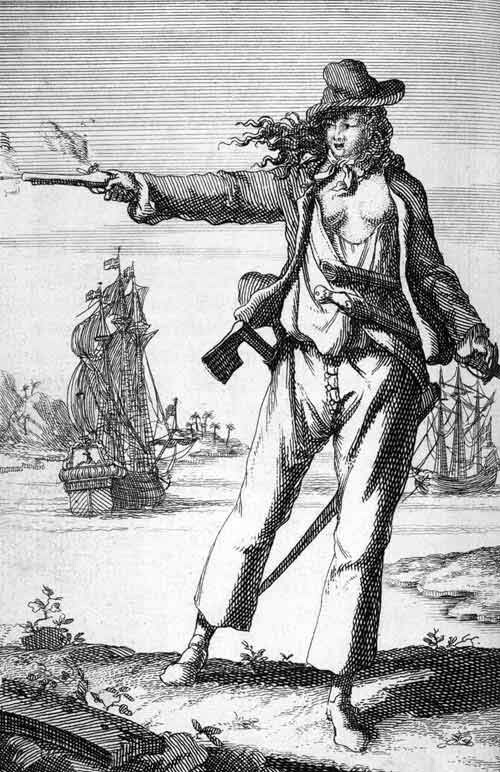 One of the most famous female pirates in history was Anne Bonny, an Irish woman who lived between 1700 and 1782. While travelling with her parents to the New World, Anne fell in love with penniless sailor James Bonny and they eventually got married. However, over time Anne was disappointed by the scarce valor of her husband and she started to seek the company of other men in Nissau. Through them she met the pirate known by the name of Calico Jack. Anne decided to join the seamen disguised as a man – she also drunk as a man and fought as a man, unstintingly. However, she was not the only pirate woman on Calico Jack’s ship: pirate Mary Read was also on board. Together, they became portentous irates, feared by men and women alike. 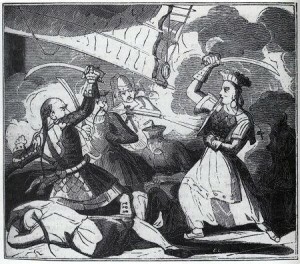 Elsewhere, on different shores and a different Ocean, pirate woman Ching Shih was the terror of the China Sea. A breathtaking beauty and a powerful fighter, Ching Shih had equal status and fame as her husband, pirate Cheng. She carried on his pirate’s business after he fell and got to control 1500 ships and 80,000 men. She had her final victory when the Chinese government scratched her felonies in exchange for peace. In spite of their unconventional characters, pirates had rules, too. As the story goes, Pirate Roberts was the inventor of The Pirate’s Decalogue in the 17th century. This was a principle of justice and common sense that not all Governments had – or still now have. From here comes the fascination for these anti-heroes who – as we know – are not so wicked after all. Indeed, pirates still exist nowadays, and are not less fearsome than the ones from the past. Montegrappa created their Cult series as an homage to characters, artists or features of popular culture. Pirates is a collection of pens dedicated to the adventurers of the Seven Seas that sailed the Caribbean Sea between the 17th and 19th century. Pirates by Montegrappa is made of Charcoal black celluloid, coated in a micro fusion of solid silver and gold decoration, inspired to pirates’ symbols. This pen reminds us of Chaos, a pen by Montegrappa that features a predominant skull in the barrel. Pirates, however, clearly bears pirate’s symbols: the skull with an eye patch, chains, clasps, daggers and arquebuses, a full sail vessel, an ogle siren… all in the ocean’s back storms! The richness of detail embodies the essence of piracy. Barrel and cap are completely decorated with an extraordinary abundance of details: several objects wind along the barrel and intertwine, thus creating full and void alternation. The pen features a piston filler, as do most of the Montegrappa’s limited editions. The nib is made of 18-k white gold, featuring the Jolly Roger – the traditional flag of the European and US pirates that reproduces two crossed shinbones under a white skull. The nib is available in Fine, Medium and Broad. The silver fountain pen is limited to 399 pieces (same as the roller pen) as a precise reference to the 400-t gold that pirate William Kidd allegedly buried in different secret places around the world – among these, Gardiner island in New York and Sainte-Marie island in Madagascar, in the last decades of the 17th century. But now, put the stories apart: Pirates by Montegrappa are real and they can be yours now. In the vast www sea, cross the spot on your map, surf Giardino.it pages and make the treasure yours: ahoy! Quanto costa la penna d-argento? dove trova i prezzi sia di stilografica che di roller. Se è già cliente, si ricordi di fare il Login prima; potrebbe avere degli sconti da utilizzare!